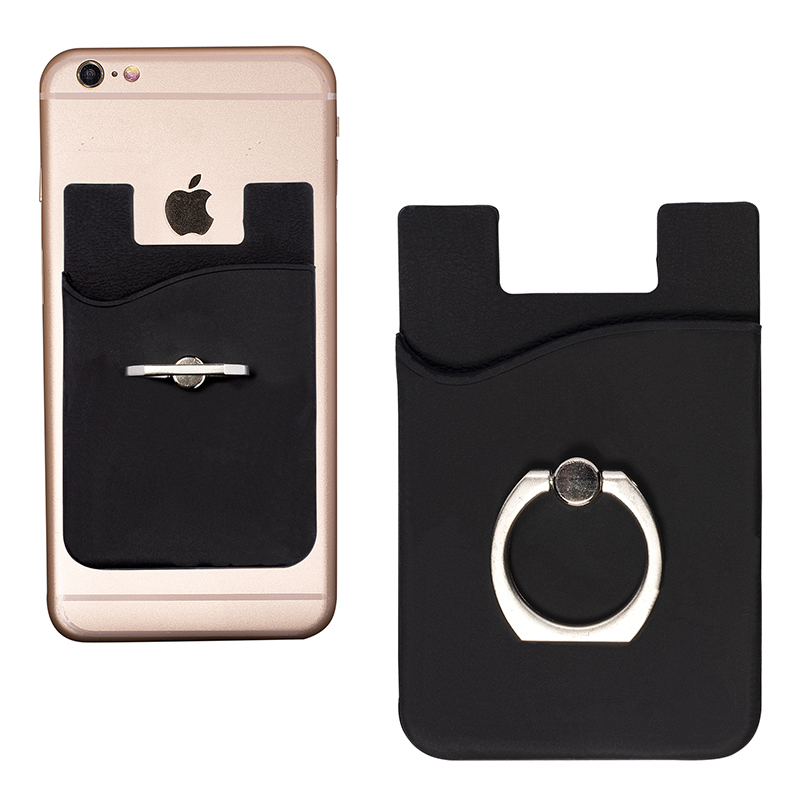 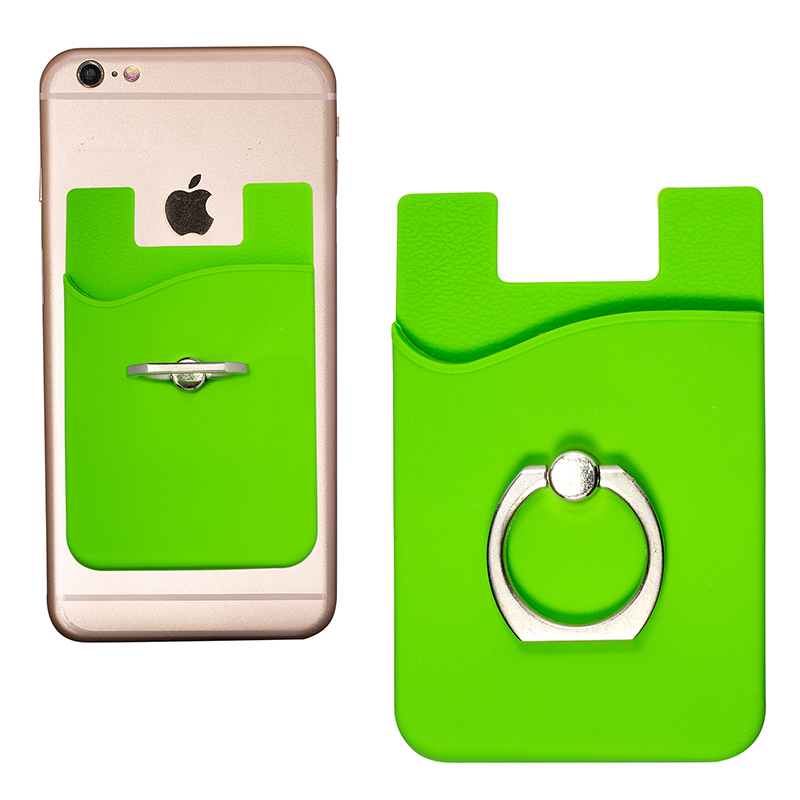 • Silicone smartphone pocket with rotating metal ring on back that transforms holder into stand. 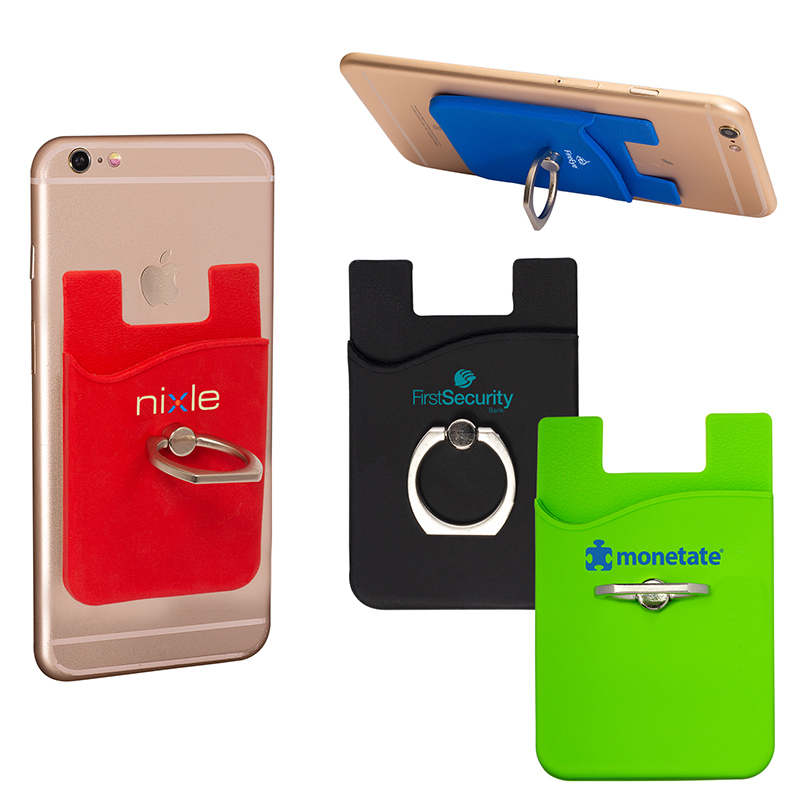 • Single pocket doubles as a wallet – insert transit cards, credit cards, IDs, and business cards. • Holds approx. 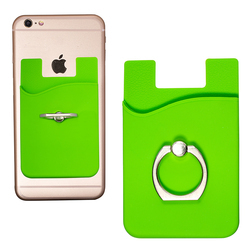 3 cards.